Being a parent is hard work. It's ironic, actually; you don't need to go to school to be a parent, or a licence, and while there are manuals and books to help, you really "learn on the job". When it came to having a second child, everyone said to us, "Well, at least you know what to expect." Wrong. Having one child is one thing. Having a toddler AND a newborn is quite the other. Having resources readily available really helps new and second- or third- time parents. 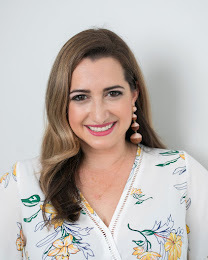 Whether it's a playgroup, a Facebook group, or a trade show, I've learned so much from talking to other people about having a child or children, great products and handy tricks that will help you and your sanity. 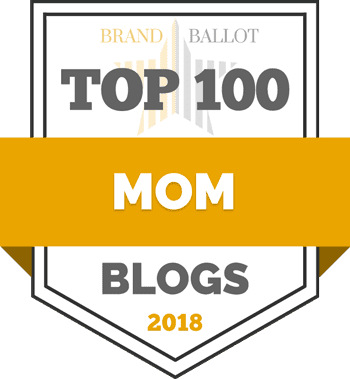 You may think you know everything about being a parent, but every child is different, things are constantly changing and there are amazing advancements in everything from strollers to pacifiers every single year. In a few weeks, the Fall BabyTime Show hits Toronto (November 7-9 at the Metro Toronto Convention Centre). I've gone to this show seasonally for the last three years - no joke. First as a preggo, then with a newborn and now with a newborn and a toddler. Every time I go, I not only learn SOMETHING, but I'm able to discover something new or cool. The NEW UppaBaby VISTA is making an appearance. 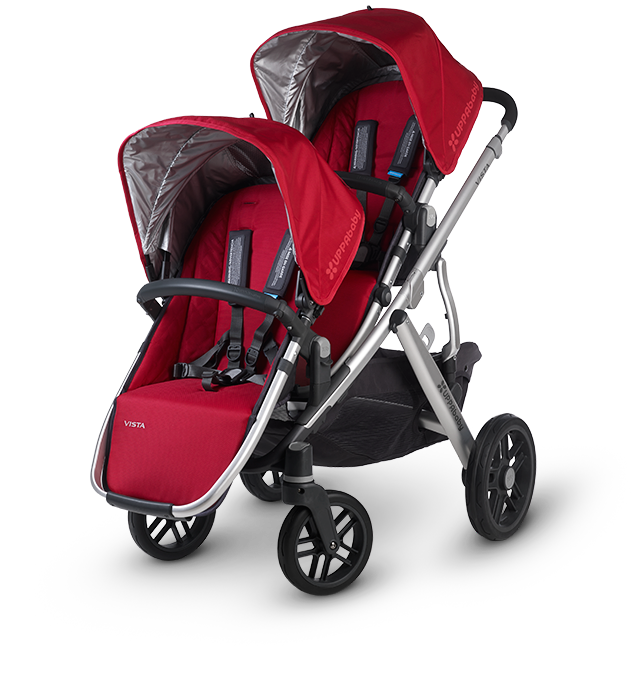 This new VISTA is available in November/December 2014 and is a full double stroller. PS -- My advice to any first-time parents: BUY A DOUBLE STROLLER if you think you're going to have another kid. It's an investment, but it's worth it. The new VISTA can also convert to a triple, which is handy, too. Mini2Go by Kickboard: These mini scooters by Micro have my older daughter's name all over them. This award-winning company has been trending all over the world with adult scooters, and now they've added another mini to their collection. 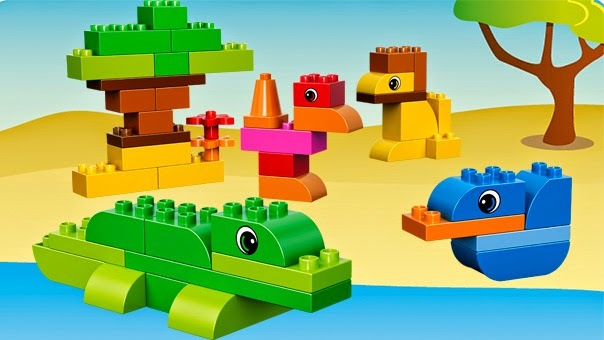 LEGO Duplo: We love building at our house. Castles, towers, statues, we build them all. The new LEGO Duplo Creative Suitcase takes this classic toy that I grew up with and adds a suitcase, making it portable and transportable. And, easy to clean up! With the holidays around the corner, we'll be asking for lots of Duplo. It's a great time to check out the collections at the show. 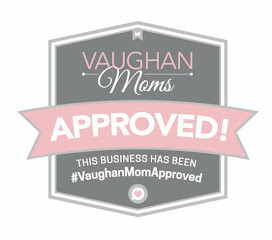 In addition to these must-sees for me, there are more than 200 exhibitors showcasing the latest in technology, childcare, toys, maternity, clothing and more. Here'a another tip for 2nd-time mommies: try on all your maternity clothes and nursing bras -- you may think you're prepared for baby #2, but your seasons may be off, and your size may have changed since the first-time around. Believe me -- I speak from experience! Of course, there will be experts on hand all weekend doing presentations, a Play-Doh Play Centre and a ToddlerTime Stage with live performances all day. For a full schedule, you can visit www.babytimeshows.ca. - WIN them through Simply Suppa! Disclaimer: I'm a BabyTime Show Ambassador and received special perks as part of my affiliation. All opinions expressed on my blog remain my own.